The Navigations-Funkpeilanhänger (1 achs.) (Sd. Ah. 422), a one axled navigation radio direction finder trailer, had a dead weight of 1,375 kg. 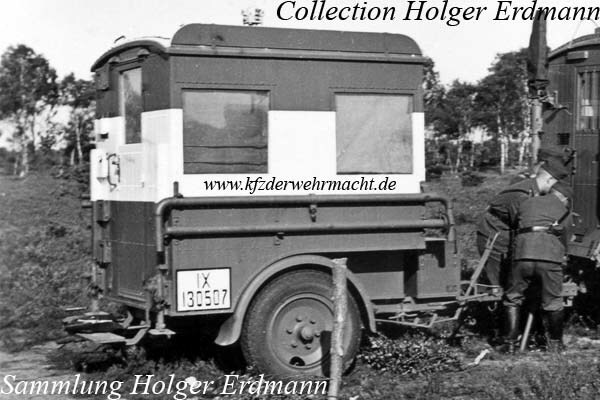 Mainly, it was towed by a Großer Peilkraftwagen a (Kfz. 61) – a large radio direction finder motor vehicle. The trailer was most probably painted in red and white. 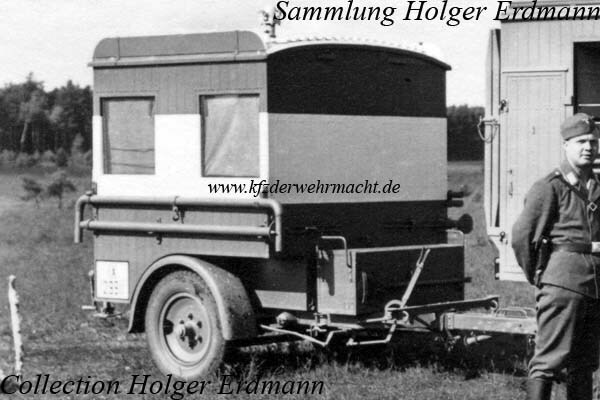 Interestingly, the trailer had a license number of the province Westphalia. Both, this fact and the fact that the soldiers had not an Luftwaffe eagle on the uniform point to the conclusion, that the photos were made in the secret time of the Luftwaffe prior to 1935. 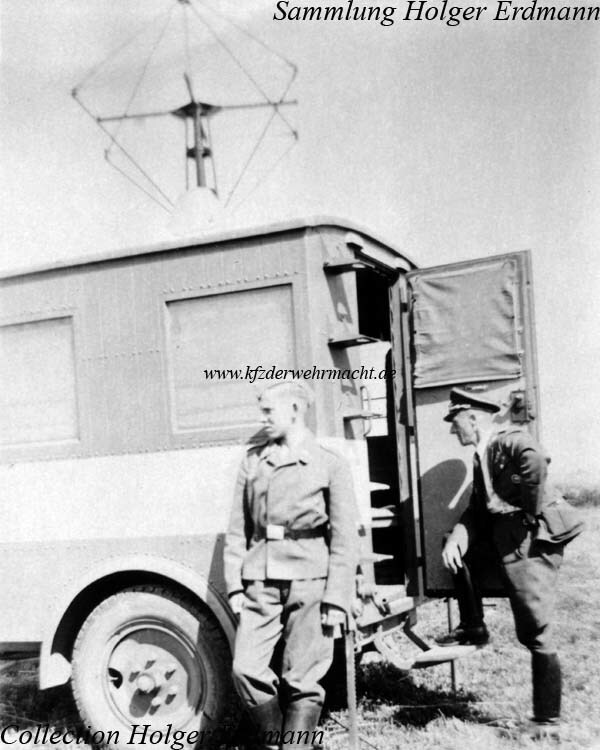 Note the loop antenna on this photo of a Navigations-Funkpeilanhänger (1 achs.) (Sd. Ah. 422). This was fitted during operation.